Some of you are devoted coffee drinkers, while some of you prefer tea. And then there are some who love both, which is the category I fall into. I’ve been drinking a little more tea lately, though, since coffee tends to keep me up at night! 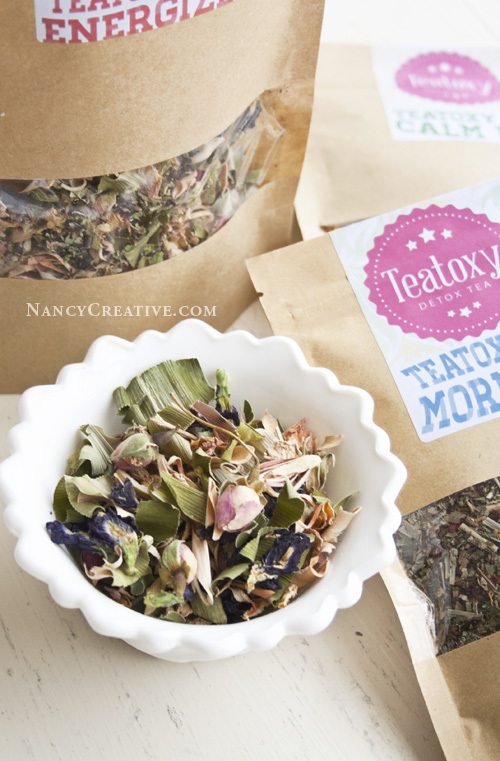 Recently I received a package of three Teatoxy Detox Teas to try. These teas are created in Thailand from organic ingredients that have detox benefits. 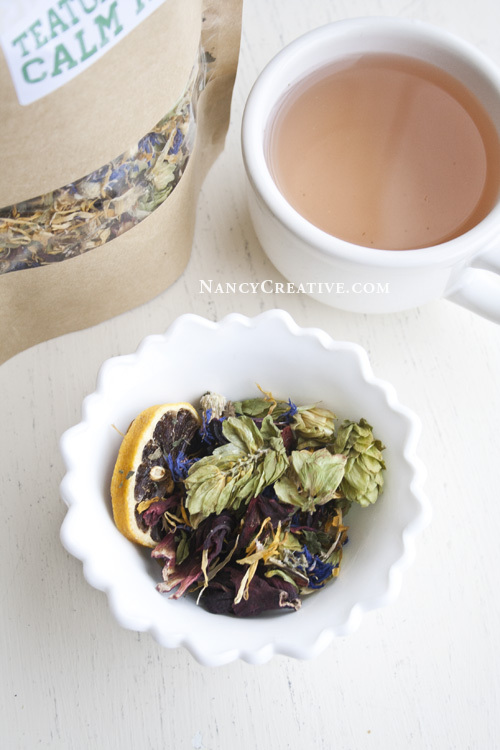 As you can see from the photos, they’re really pretty teas–almost as pretty as potpourri! The Morning Blend, designed to boost metabolism and increase alertness, is a blend of lemongrass, rose hips, peppermint, apples, rooibos, blackberry leaves, hibiscus, and marigolds. The soft peppermint flavor is refreshing–a nice way to start the day. 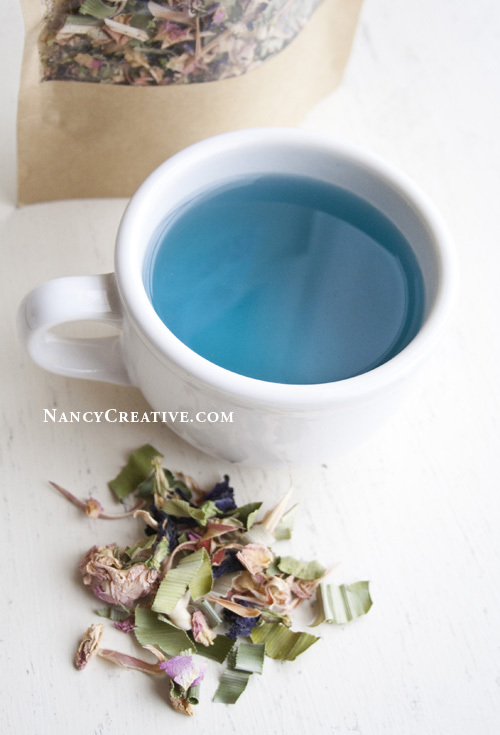 The Energize Blend is an organic blue detox tea blend created with lemongrass, Pandan leaves, Moroccan Rose Petals, Bluechai, and Lavender, which is designed to increase energy, fat burning, and suppress your appetite. It has a nice mild flavor and a pretty blue color which turns purple if you add some lemon juice. The Calm Me Blend includes organic hops, hibiscus, peppermint, cornflower, marigold, goji berries, and dried lemon slices. It’s supposed to help promote better sleep and is rich in antioxidants. I liked the light lemony flavor of this tea–it’s very soothing. I think this blend was my favorite! If you like tea, you may want to try these out. They would also make a great gift for any tea drinkers you know! So which category do you fall into…coffee drinker, tea drinker, or both? This entry was posted in Beverages/Smoothies, Food and Recipes, Food Gifts, Healthy Eating, Reviews and tagged Detox Tea, featured, organic, tea, Teatoxy on December 1, 2014 by nancyc. 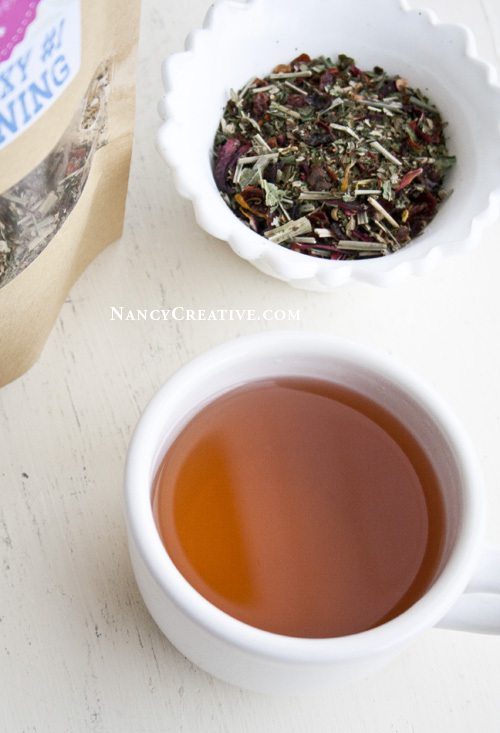 Nancy, It was so interesting to read this post as I love tea and am always looking for new teas to try! These teas look so inviting and, although I’m not a coffee drinker, I do like herbal tea, especially in the winter months. I am such a tea person so I appreciate these tea recommendations. I gotta give these a try.